Set your clocks, mark your calendars, program your smart phone and get ready to experience the Brig Niagara again. 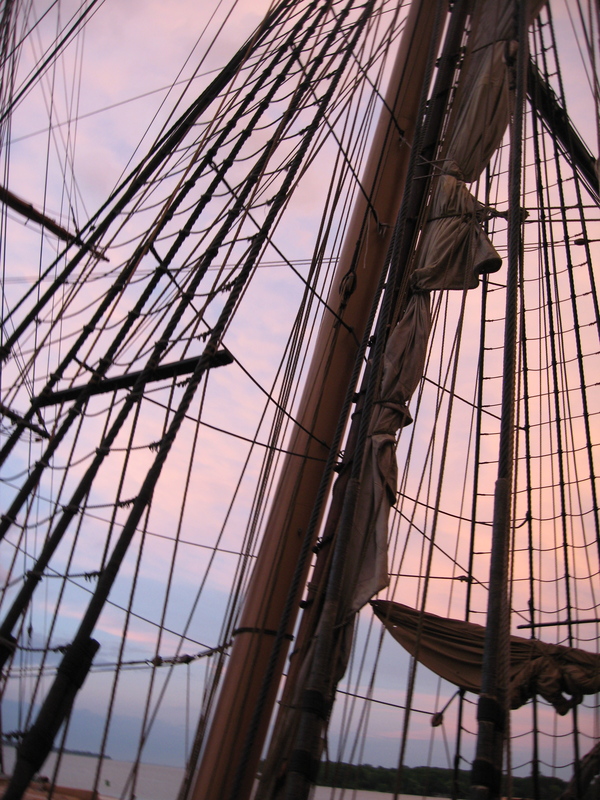 Our friends from Erie, The Brig Niagara and the Flagship Niagara League are setting sail, returning to Put-in-Bay Ohio June 18-22 for the Put-in-Bay Maritime Celebration and Pyrate Fest. This is an epic event hosted by the Put-in-Bay Chamber of Commerce. What began as a pipe dream last winter is now a five-day event, one that we envision growing and blossoming into a broadly attended festival that will continue to celebrate Put-in-Bay’s 200+ year maritime heritage. The Perry Group is proud to be a partner in this new adventure. This year we are looking forward to seeing many of our old friends, visitors and neighbors back to relive some of the excitement of the 2013 Bicentennial. We also want to extend a warm welcome to the new friends we will make coming to the island for the first time, including the new superintendent and staff joining us from Perry’s Victory. There is no question that our deeply rooted maritime heritage here in the Bass Islands was built upon the square riggers, schooners, steamers and later affordable pleasure craft built and enjoyed here on the great lakes. Ever since the first indigenous natives started visiting the islands they knew as “Split Winds”, people have wanted to visit Put-in-Bay. Our regions’ collective conscious is all about the water and the backbone of our island’s destination heritage. You can imagine that it did not take very long after Oliver Hazard Perry visited the island in 1813 before Put-in-Bay became a regular stop for merchant vessels looking for safe harbor. And by the late 1850’s Jose De Rivera’s dream for establishing a “new start” farming opportunity here had bloomed with vineyards and fruit orchards attracting summer visitors from “far away” places like Buffalo, Detroit and Cleveland. 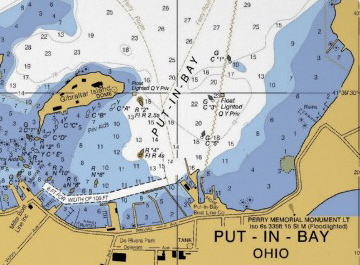 The residents of Put-in-Bay’s love for the water was infectious and groups like the ILYA (Inter-Lake Yachting Association) began hosting its now world famous sail and powerboat regatta here in 1890’s. It annually draws hundreds contestants, along with thousands of spectators and boating enthusiasts. People from all ends of the Great Lakes return again and again, attracted to our warm and gracious host port island. This year’s “Return of the Niagara” also marks the beginning of a new era in our celebration of peace with Canada and Great Britain. Once the treaty of Ghent was signed back in 1815 the clock started ticking. The next 200 years starts now with events like our Put-in-Bay Maritime Festival. From rowing boats to Tallships, the Brig Niagara presence over the next several years provides the public with a direct connection to that important history. And with Pyrate Fest sharing the weekend comes our fantastical connection to the good and the bad of sailors, pirates and privateers. On May 1 the public will be able to access the Put-in-Bay Chamber of Commerce (visitputinbay.com) website for advance tickets to June’s events. I recommend being early in line. Tickets for tours, the catered reception, and 5 hour sail will be available in limited quantities and for 10 lucky folks there will be a VIP pass for sale that covers the tour, reception and the sail for two plus dinner with wine at the Crews Nest. All of the details can be found on the chambers website. Please help us to make the 2015 Put-in-Bay Maritime Celebration a success. Find us on Facebook, twitter, instagram and share the news. Your social media tool kit starts with our hash tags for this year’s events #pibmaritimecelebration, #pyratefest and #returnoftheniagara. Spread the word, share the hash tags!